CHARLOTTESVILLE, Va. – There’s nothing like the smell of freshly baked bread on a Tuesday morning. 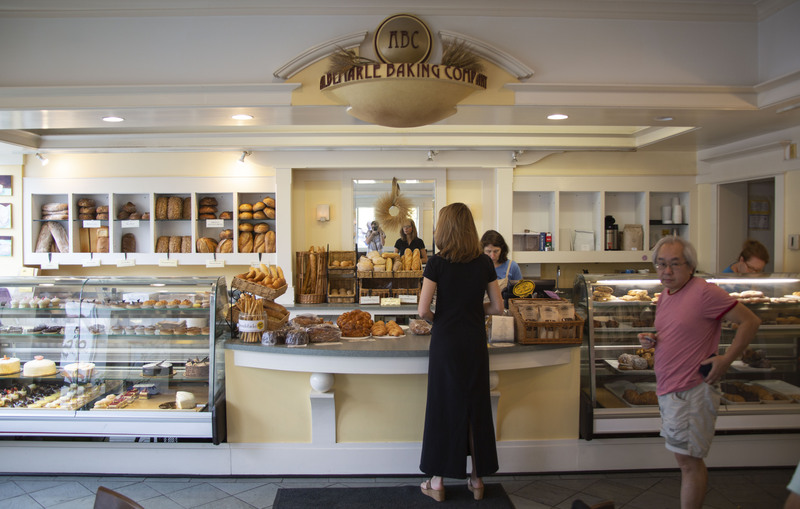 And that’s what we were greeted with when we stepped into Albemarle Baking Co., a Charlottesville, Va.-based bakery owned by husband and wife team Gerry Newman and Millie Carson. The woman behind the counter, wearing an apron and a smile, offered us a steamy cup of the house coffee while we waited to chat with Newman—he was in the back wrapping up some baking. While we waited, our eyes gravitated to the treat-filled window at the front of the store, where we spotted what we came for: princess cake. The cake looked a bit different from its Swedish counterparts, the outside a creamy white instead of the traditional green. The shape and decoration though, looked like it came straight out of Sweden, a perfect dome with a beautiful, too-pretty-to-eat pink marzipan rose adorning the top. Newman surfaced from the back of the bakery, wearing a flour-covered apron over a casual white t-shirt. He suggested we sit outside in the fresh air. It was a beautiful day so we happily obliged and took our seats outside the bakery. 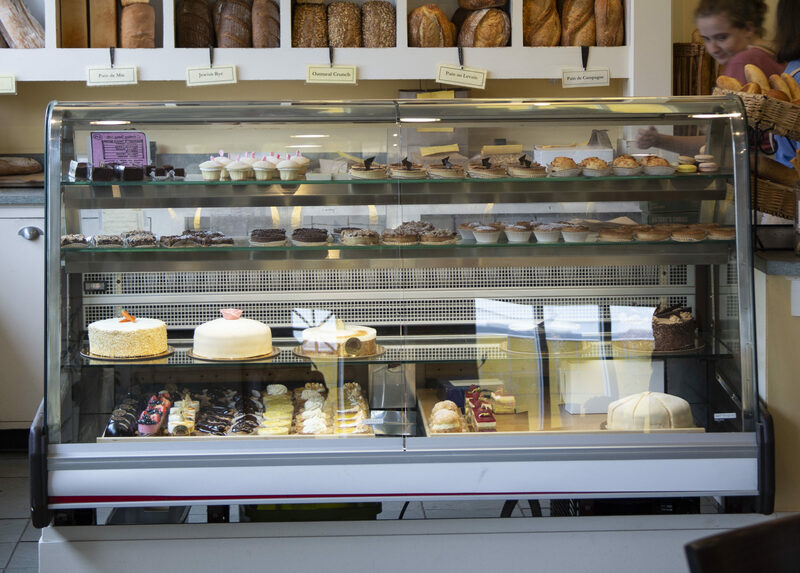 Right away, we could tell Newman was proud of the bakery’s history and deep roots in the city. 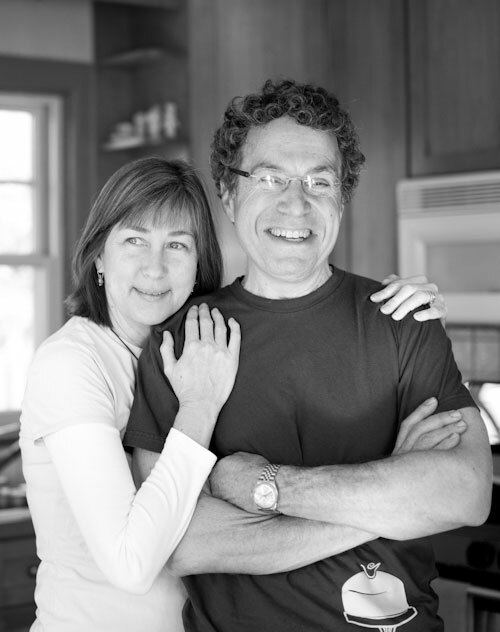 Newman and his wife founded Albemarle Baking Company in 1995. 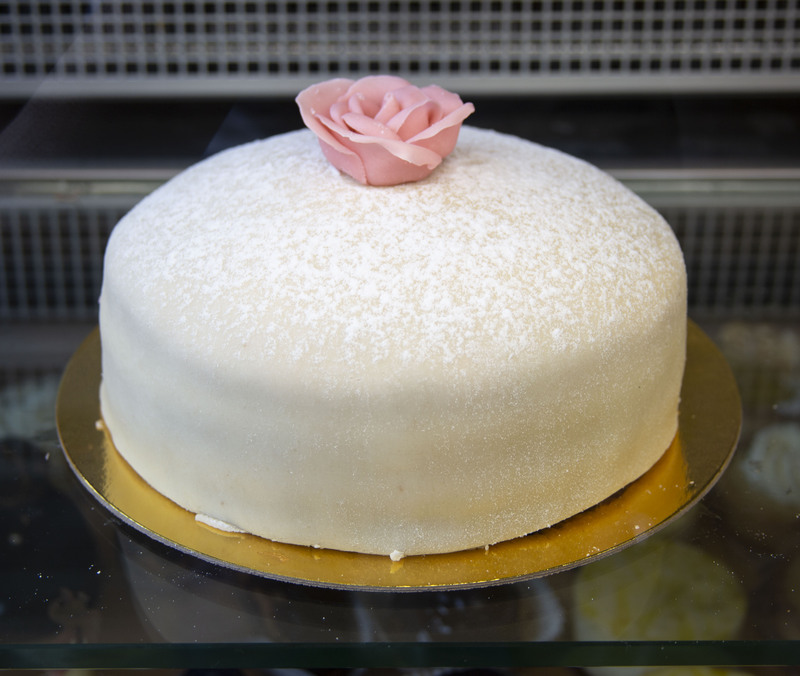 For almost 25 years, the couple has been providing Charlottesville with artisanal bread and pastries, and although they aren’t Swedish, princess cake was on the menu from the start. Newman’s version of the Swedish treat is comprised of three layers of a vanilla cake layered with Bavarian cream and covered with marzipan – an almond-flavored dough he makes in house by mixing almond paste with sugar and glucose. And no, the marzipan is not green. 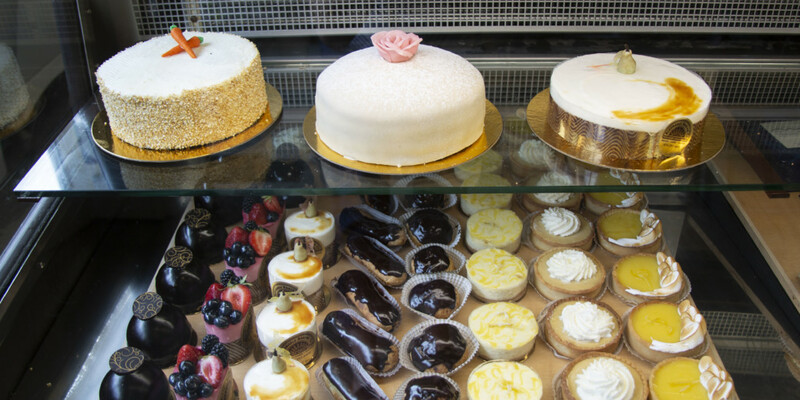 “I’m not a fan of food coloring and for wedding cakes, we would make it this natural color, so I just went with that when we opened our bakery here,” he said. Departing from the traditional recipe, Newman’s version is sans raspberry jam—he thought the addition of jam made the cake too sweet. We confessed over the course of our interview that we tried to make our own princess cake. And when we told him, he looked up and gave us a little smile, almost apologetically. We weren’t sure if he was sorry for us as we attempted to take on such a cumbersome project. Or if he was sorry for the cake, that an inexperienced baker would degrade such a delicate confection. He was forthcoming with some tips for us, though. Newman told us the key to a perfect dome-shaped cake is in the shaping of the whipped cream. Shape it well, and you’ll end up with a nice, round cake. And when we told him our cake was as dry as the Sahara Desert, he served us with a comforting anecdote. Newman’s princess cake was anything but dry. The vanilla cake was moist and not overly sweet, perfectly balanced by the velvety smooth Bavarian cream, a huge departure from our lumpy version. The marzipan, though, was the star of the slice—just the right thickness and texture. For now, we’ll retire our pastry knives and leave the princess-cake baking to Newman and the folks at Albemarle Baking Co. They know what they are doing, and it shows. 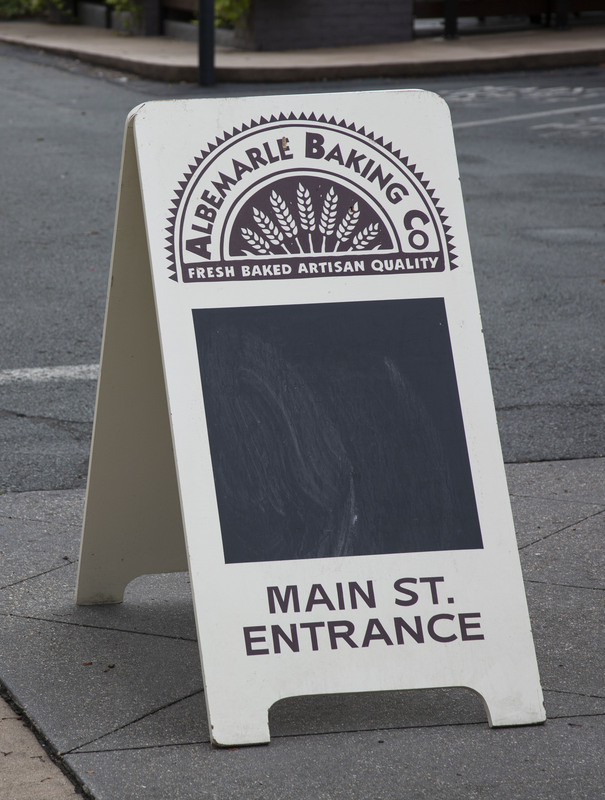 Albemarle Baking Co. is located at 418 W. Main St. in Charlottesville, Va. The shop is open Monday through Friday from 7 a.m. to 6 p.m., Saturdays until 5 p.m. and Sundays from 8 a.m. to 3 p.m. Visit them on Facebook and Instagram to follow along.